Hong Kong – The INFINITI Q60 is a premium sports coupe that combines expressive design with exhilarating performance and dynamics. The taut, muscular lines of the exterior underline the Q60’s considerable performance potential. Lower and wider than previous INFINITI coupes, the Q60’s bold exterior expresses ‘Powerful Elegance’ – an INFINITI design language which gives the sports coupe a sinewy athleticism, confidently projecting a sense of motion and power. 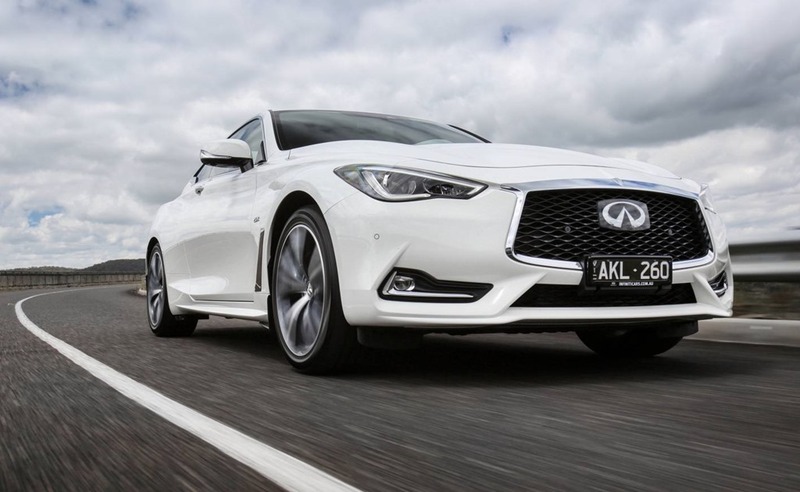 The new Q60’s Australian market introduction commences with the availability of a four-cylinder 2.0-litre petrol engine, turbocharged to produce 155kW. Power is channeled through the Q60’s rear wheels for immediate dynamic responses. From this week, the INFINITI Q60 GT and GT with Enhancement Pack commence local sales. From March 2017 the Q60 2.0t Sport Premium model grade and the Q60 Red Sport, which is powered by a 298kW twin-turbo V6 petrol engine, will both join the model range. The Q60 delivers a truly engaging sports coupe experience, with a balance of compliant ride and agile handling. The world premiere of the new Q60 premium sports coupe comes at a time of rapid growth for INFINITI, released in the midst of an intense global launch period. INFINITI sold a record 110,246 new vehicles during the first half of 2016, a year-on-year rise of 7 per cent. The Q60 will play an important role in the brand’s global development and re-ignite its presence in the premium sports coupe segment. INFINITI is undergoing a period of model diversification, entering new segments and, in the case of Q60, introducing new technologies and powertrains. INFINITI has a proven track record in the sports coupe class with the G35 and G37, launched in 2002 and 2008, respectively. The first-generation G35 presented a blend of engaging dynamics and eye-catching looks, and INFINITI development teams have designed and engineered the third-generation Q60 sports coupe according to the same principles. 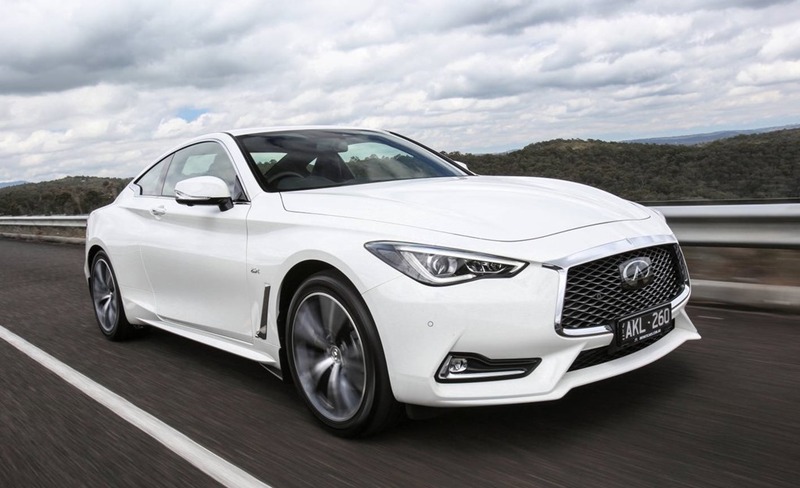 In Australia, the G37 was officially released in December 2012 and was later renamed Q60. It is now replaced by this new Q60 sports coupe. 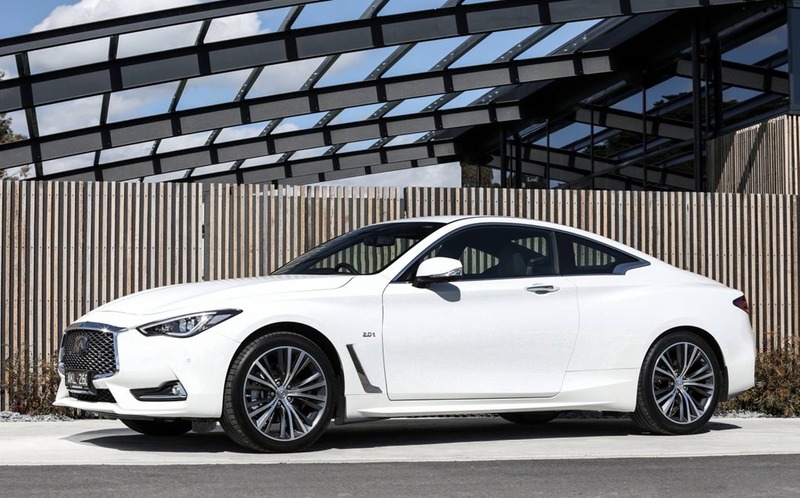 The Q60 is characterised by flowing sculptural lines and strong, muscular proportions. Its sinewy athleticism confidently projects a sense of motion and power, coupled with an effortless, almost weightless stance. The Q60 employs signature INFINITI design cues to communicate dynamism, representing a daring visual expression of the car’s performance. Unifying features such as the double-arch grille and the crescent-cut C-pillars – which arc forward and emphasise the car’s dynamic quality – ensure that the sports coupe is instantly recognisable as an INFINITI. LED headlights, employing ‘light guide technology’ to spread light evenly on the road ahead, are designed to emulate the shape of the human eye, providing an alluring ‘face’ to the car. The deeper grille is inset from the body, communicating a stronger connection to the engine. The Q60’s exterior dimensions and striking silhouette assert its credentials as a powerful sports coupe. Its aggressive stance gives a greater impression of stability and in-control driving potential, while its lower centre of gravity has a positive overall effect on driving dynamics. The Q60 features newly-designed 19-inch aluminum alloy wheels as standard. The wheel gaps – the spaces between tyres and wheel arches – are tighter than ever, further lowering the visual volume of the car and giving it a low, powerful stance. Aerodynamic efficiency was a major consideration for INFINITI’s design and engineering teams. Crucial for the Q60’s drag coefficient of just 0.29 was the car’s carefully-wrought exterior design. In particular, vents in the front fenders direct air from the engine bay while the Q60’s hood is also shaped to reduce drag. The door-mounted side mirrors accentuate the Q60’s low stance and sleek coupe looks, and are designed to improve the flow of air down the flanks of the vehicle, while maintaining a wide angle of rear visibility for the driver. Sophisticated craftsmanship characterises the spacious and beautifully appointed interiors across the INFINITI range, following the brand’s ‘driver-centric, passenger-minded’ approach to advanced cabin architecture. INFINITI designers have used this architecture to give each occupant their own clearly defined space within the passenger compartment. In the front of the cabin, the Q60’s design emphasises the dashboard’s focus on the driver, with the centre console housing twin touchscreens (8-inch upper and 7-inch lower) as part of the InTouch central control system – the latest generation of the company’s infotainment technology. The touchscreen capabilities of both screens mean INFINITI’s design teams have been able to minimise the number of buttons in the cabin, for a neat, uncluttered appearance. The interior trim of the Q60 includes high-end accents and bold, modern-looking materials. The cabin of the Q60 has been packaged to offer comfortable space for all passengers, in spite of its sports coupe shape. Its 2,850mm wheelbase enables legroom of up to 1,095 mm for front passengers and 823mm for both rear passengers. The Q60’s 1,850mm-wide body (without mirrors, 2,052mm with mirrors) is sufficient to give all passengers plenty of shoulder and hip space. Shoulder room is 1,387mm for front passengers and 1,321mm for those in the rear, while hip room is 1,369mm and 1,217mm, respectively. Despite its sloping coupe roofline, the Q60 offers generous headroom for all passengers – 963mm in the front (without sunroof) and 876mm in the back. The Q60 offers 342 litres of cargo space. 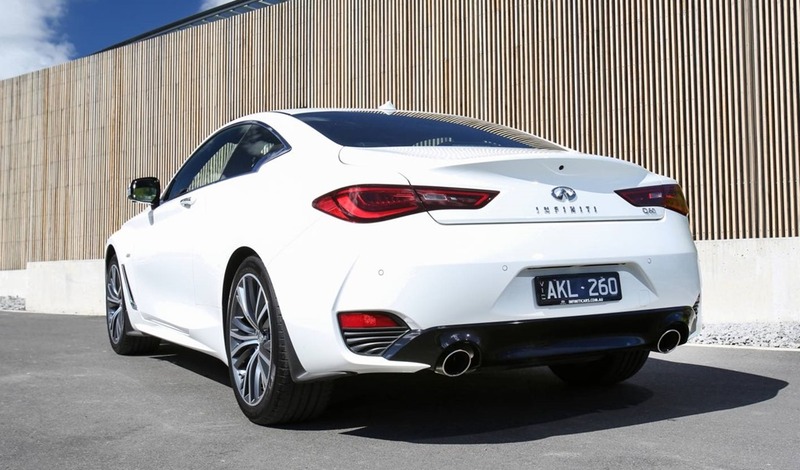 For its Australian start of sales, the new Q60 comes fitted with a four-cylinder turbo-charged 2.0-litre DIG (direct-injection gasoline) engine, with enhanced direct fuel injection for efficiency in all conditions. This engine delivers 155 kW at 5,500 rpm and a maximum torque of 350 Nm from 1,250 to 3,500 rpm. A high-pressure direct fuel injection system with piezoelectric injectors delivers fuel to the engine in precise amounts for greater fuel efficiency, helping achieve a combined-cycle fuel consumption rate of 7.7-litres per 100 kilometres (according to ADR 81/02). This all-aluminum 2.0-litre turbo petrol engine uses a hydraulic variable valve timing control system and direct fuel injection to maximise its mechanical efficiency, with resin-coated pistons minimising friction. INFINITI’s Idle Stop-Start system, fitted as standard to 2.0-litre DIG engines, provides further improvements to fuel economy. The engine’s wide-range single-scroll turbocharger provides peak torque at those engine speeds most commonly used by drivers, though the free-revving nature of the engine allows drivers to reach a red line of 6,300 rpm. From March 2017, the INFINITI Q60 Red Sport will join the local range, powered by INFINITI’s new VR30 DDTT twin-turbo V6 engine. This engine produces an impressive 298kW of maximum power at 6,400 rpm and a peak torque of 475Nm from 1,600 rpm through to 5,200 rpm. As standard, the Q60 GT (entry-level model grade) comes equipped with the new Rack Electronic Power Steering (Rack EPS). The system provides a linear and in-control driving experience, with every mode making for quick, natural, and precise handling, encouraging maneuverability and ease of control. The standard suspension set-up ensures a low level of road noise and minimal intrusion of unwanted vibrations, while allowing for more direct and linear handling responses. Suspension link layouts and bushings have been modified specifically for their application in the Q60, while shock absorbers are relocated to make way for a selection of other tailor-made suspension components, endowing the Q60 with optimised sports coupe ride and handling. Dynamic Digital Suspension (DDS) and Direct Adaptive Steering (DAS), as fitted to the VR30-powered Q50 sedan, will be fitted to the range-leading 298kW Q60 Red Sport when it goes on sale locally in March 2017. The all-new INFINITI Q60 is fully customisable through the Drive Mode Selector (DMS) – accessed through the 8-inch upper touchscreen. The system allows the drive mode to be selected from the following available options: ‘Standard’, ‘Snow’, ‘Sport’, and ‘Personal’. The Standard mode has been tuned to represent the core performance of the Q60: normal engine output and transmission settings combined with a unique blend of enhanced ride comfort and agile handling – what INFINITI’s vehicle development teams have defined as the ideal performance characteristics for the car. In this mode, steering requires less effort at lower speeds for easier maneuverability, while at higher speeds or over rough road surfaces, there is a feeling of stability with fewer kickbacks associated with a slower gear ratio and firmer steering feel. Sport mode increases the level of steering effort required and quickens the steering ratio, for more immediate handling responses. In addition, Sport mode comes with changes to engine and transmission mapping to deliver the required driving characteristics. In Personal mode Q60 drivers can personalise the steering performance by selecting one of two core ‘modes’ (Standard, Sport) and then specifying their preferred level of ‘response’ (Default, Dynamic). In total there are three mode and response combinations available in Personal: Standard and Default; Sport and Default; Sport and Dynamic. In Snow mode, the engine automatically lowers its output for wet or icy conditions. The transmission adjusts, so to use a higher gear and lower torque and power output. This helps prevent wheel spin on slippery roads. The Q60’s seven-speed automatic transmission has been engineered with gear ratios spaced to allow for responsive, direct acceleration. Adaptive Shift Control (ASC) uses a lateral acceleration sensor to detect topographical changes in the road, such as hills or corners, and enhances gear-select patterns according to the changing conditions. ASC also allows the transmission to observe driving behaviors and adapt shifts to driver feedback. In Sport mode, the Q60 selects a more aggressive shift pattern, holding on to gears longer to tap in to the engine’s maximum performance reserves at higher revolutions. 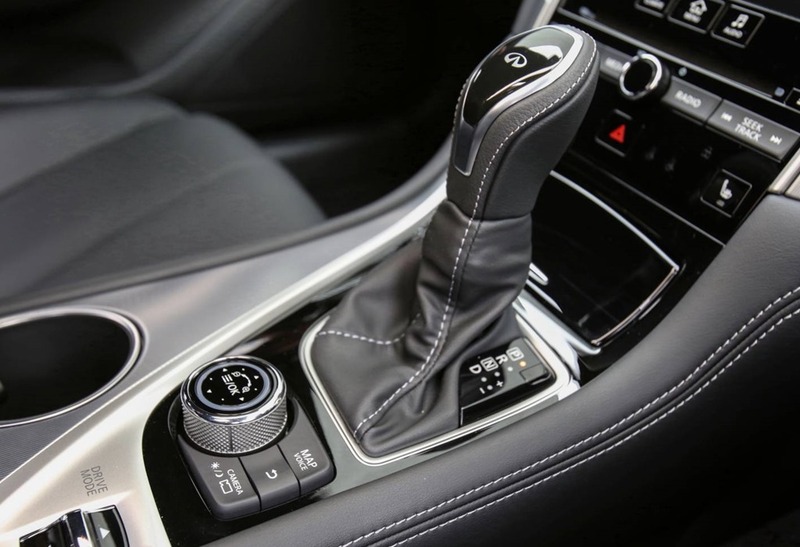 In all instances, the automatic transmission shifts smoothly, with less performance-focused modes giving the car an even more relaxed gait for everyday conditions. Compared to its predecessor, a combination of wider wheels and tyres not only adds to the new Q60’s attention-grabbing design, but also improves vehicle handling. The Q60 is configured in a rear-wheel drive format for both the four-cylinder and V6-powered versions. All-wheel drive is not available in Australia. Technological innovation facilitates comfort and convenience in the cabin of the Q60 premium sports coupe, providing a refined and contemporary space for driver and passengers alike. INFINITI engineers have worked to minimise Q60’s noise, vibration, and harshness (NVH) levels. In particular, NVH has been improved with the adoption of significant suspension insulation and stiffer cross-members, as well as wheel spokes designed to dampen vibrations. Active Noise Cancellation is fitted to all Q60 models, effectively preventing negative engine noise frequencies from disturbing the calm of the cabin. Making its world debut in a production vehicle, the Q60 is available with an all-new 13-speaker, Bose® Performance Series sound system (available on Q60 GT with Enhancement Pack), which has been tailored to the acoustics of the Q60’s cabin. Featuring all-new system architecture and high-performance components, the fully-immersive Bose audio system transforms the cabin into the driver’s very own audio haven. The system’s interface and speakers feature the latest ‘industrial’ design that characterises Bose Performance Series audio systems, lending an even more distinctive, high quality look and feel to the cabin. INFINITI’s desire to offer drivers a totally in-control driving experience extends to the Q60’s high-bolster seats. INFINITI’s development teams found that many car seats, regardless of vehicle sector, force occupants’ spines into a ‘C’ shape and offer very little shoulder support, placing up to 40 per cent more load on the spine compared to a standing position. INFINITI’s hallmark ‘spinal support’ seats have been carefully engineered for the Q60 to match the curvature of the spine, providing a consistent level of support and minimising pressure on lower and upper back muscles. The supportive seats reduce the spinal curvature that many traditional seats force occupants to adopt, with a more even alignment between chest and pelvis. Extensive upper body support spreads the occupant’s weight more evenly all the way up the chair. 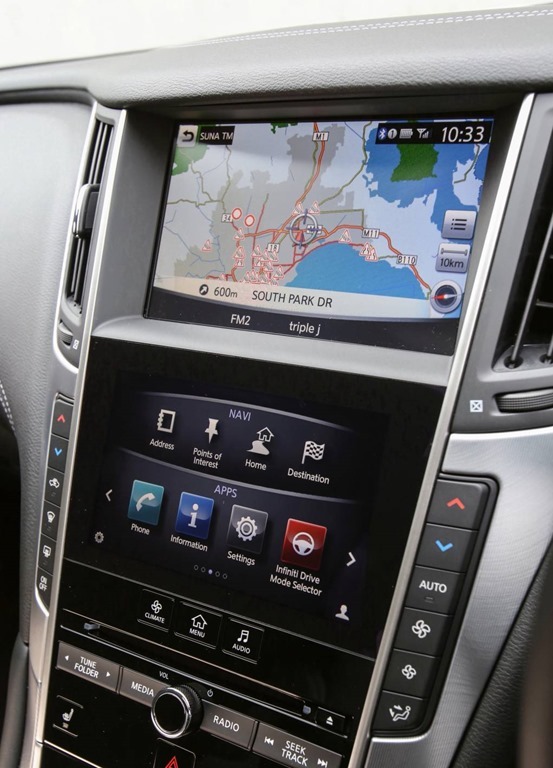 The Q60 is equipped as standard with INFINITI’s InTouch advanced infotainment setup. Now upgraded with a faster processor, InTouch allows occupants to personalise the interior environment of the Q60 according to their preferences, and can store profiles for multiple drivers, identified by their I-key (intelligent key). InTouch is able to memorise more than 250 settings that the individual can program themselves. These include driving seat positions, audio, and navigation settings; display settings, and heating and ventilation preferences. Consult the Specifications and Equipment sheets for the complete list of comfort, convenience, technology and entertainment features fitted to the new INFINITI Q60. INFINITI’s comprehensive approach to active safety is evident throughout the Q60 premium sports coupe. The Q60’s suite of driver assistive safety technologies allows the car to monitor for and identify potential hazards, actively assisting the driver to avoid those hazards, and, if a collision is unavoidable, mitigate the effects. The Q60 is equipped with six airbags as standard in all markets – driver and passenger front and side impact airbags, and roof-mounted curtain airbags with a rollover sensor. A pop-up engine hood, engineered to meet new global safety standards for pedestrian safety (designed to limit potential injury to pedestrians) is also fitted. Consult the Specifications and Equipment sheets for the complete list of safety features fitted to the new INFINITI Q60. The new INFINITI Q60 is built at the company’s production facility in Tochigi, Japan. The Tochigi plant has been upgraded to meet the unique production needs of the new premium sports coupe, in particular to create the bold lines and sharp angles of the Q60’s design. Investment in the Body Shop facility includes the adoption of a unique deep-body stamping process and new resin tooling machinery to shape the deeply-carved surfaces of the new coupe. Production machinery and tooling on the Tochigi production line has been upgraded to incorporate a number of the Q60’s new manufacturing processes and advanced design features (such as the sharply curved body panels and deep inset mounts for lamps). INFINITI also introduced sub-production lines and worked in collaboration with other departments to create new jigs for certain components. For example, manufacturing, design and engineering teams at the Tochigi plant worked very closely together to ensure that a new trunk lid feature for Q60 could be realised with the highest quality. In a world’s first application, the trunk lid is a hybrid combination of a resin skin on a steel frame – giving INFINITI designers more freedom to develop shapes that can then be built in a single part. Thanks to these production enhancements, the road-going version of the Q60 remains strikingly faithful to the original concept design. On the Q60 production line, 216 highly-skilled ‘Takumi’ – artisans – have been carefully selected from the 4,500-strong workforce. INFINITI’s Takumi not only require a particularly high level of technical knowledge, they are specially trained in premium vehicle manufacturing and have a deep understanding of the INFINITI brand and its core values. Takumi working in the Q60 Paint Shop, for instance, are equipped to detect a 0.1 mm deviation in paint thickness. Takumi work across body press, welding, painting, assembly and quality assurance, and – true to the Japanese philosophy of ‘Kaizen’, that of continuous improvement – undergo regular training in new techniques and skills. From the Takumi, a further six ‘Meister Takumi’ were selected – those with the highest understanding of premium car production and the expectations of INFINITI’s customers – to ensure the manufacturing process at the plant itself is fully attuned with the unique blend of attributes that differentiate INFINITI’s products from its rivals. The INFINITI Service Assure program is available at any authorised Infiniti workshop and offers Australian Q60 customers a transparent and convenient scheduled servicing program. servicing intervals are every 12 months or 25,000km, whichever occurs first. The prices for the scheduled services will be advised soon. A comprehensive four-year / 100,000 kilometre new-vehicle warranty is applied to all models sold in the Australian Infiniti new-vehicle range. Included is Infiniti’s Premium Roadside Assistance package, provided for four years from the date of first registration. This assistance is available to Infiniti owners 24 hours a day, 365 days a year. * Manufacturer’s Suggested Retail prices (MSRP) are provided for media purposes only do not include statutory charges or other on-road costs. 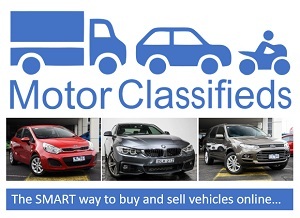 ** Maximum recommended drive-away price for vehicle in Victoria including 12 months’ registration, 12 months’ CTP and applicable statutory charges, dealer delivery and administration charges. Price is based on a private owner aged 40 with a good driving record and the vehicle being garaged in Victoria. Prices may differ depending on State purchased, individual’s personal circumstances and will vary from dealer to dealer. Premium paint is available at additional cost.